When coming up with these Great Dane names we soon realized this wasn’t your typical dog to begin with. Some of the descriptive words that came to mind when we saw our first Great Dane was beautiful, majestic, and BIG! It was these characteristics that we tried to keep in mind when coming up with these names for Great Danes. Nope, you won’t find any naming ideas like Bambi, or Cuddles here, only ideas we felt would fit this unique breed. Choices we felt were beautiful, majestic and BIG! 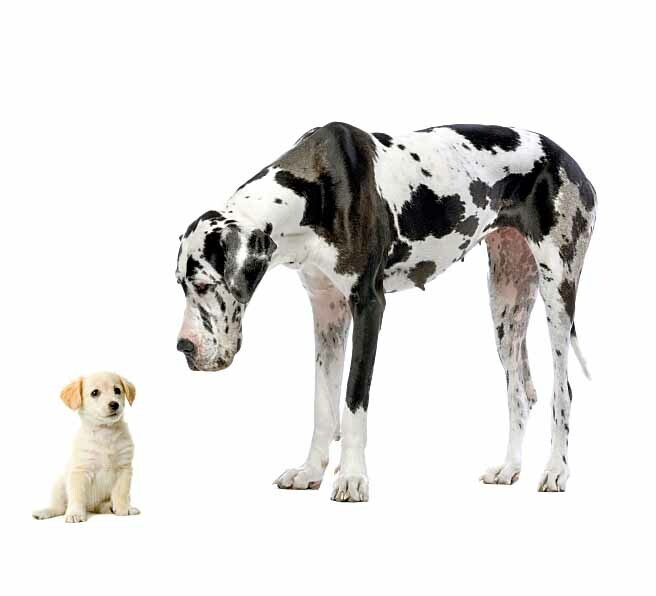 Now we understand that whether a Great Dane name is a good one or not is totally subjective, but we feel confident that as you scroll down this page that you’ll find more than a few interesting ideas. So pull your chair up to your screen and call over your dog (for your own safety, we advise you not to put him/her on your lap) and choose which one fit’s the best. 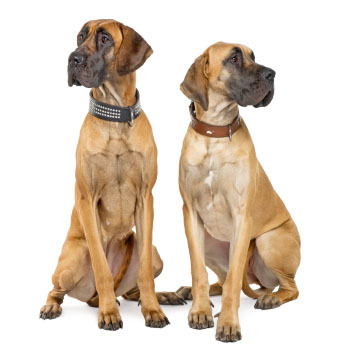 We start off our lists with a few suggestions to get things going, then we offer a list of BIG sounding ideas, and then additional creative choices towards the bottom of this page that we felt would also be a good match for Great Danes. Ready? Let’s name your dog! 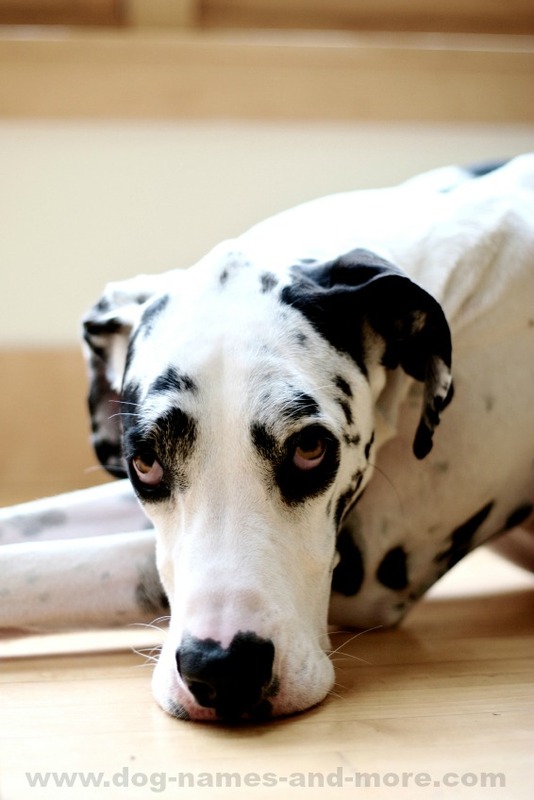 Apollo: After the Greek sun god, this Great Dane name will make your pal seem larger. Bella: Meaning "beautiful", you'll be happy to give your four-legged friend this title because she is elegant and a real beauty. Bo: This idea means "the precious one" and your Great Dane will be precious to you. It could be used for a female also if you‘d like. Denali: This is the title of the largest park in the state of Alaska. If you’ve been there, you know just how big and beautiful it is, just like your Great Dane. Duke: John Wayne was known as "The Duke" and because it is such a strong male figure, as well as one indicating royalty in a monarchy. 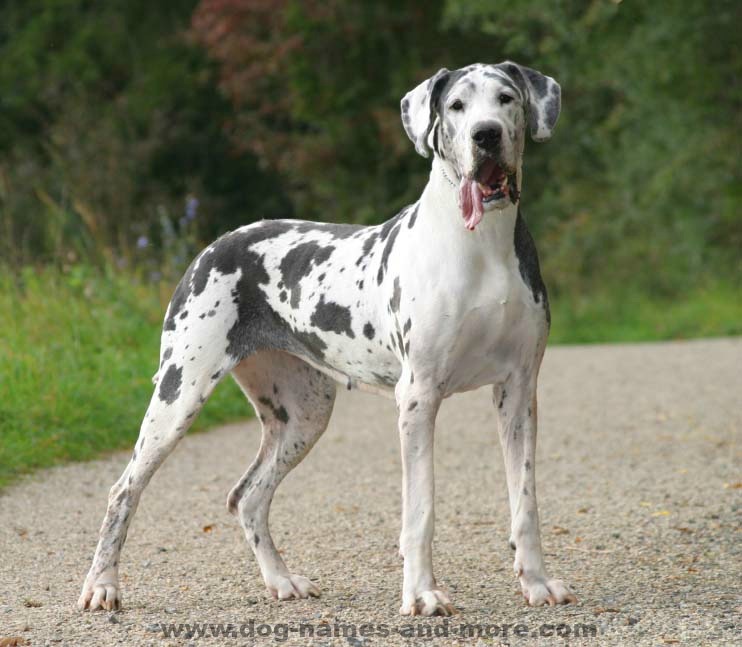 Lady: For the female Great Dane that carries herself well. All gentlemen know when a lady enters the room, especially when she does. Legend: Certain ideas have a lasting quality. One that’s passed down thru generations. We’re doubtful anyone will forget a Great Dane called Legend. Samson: This title is great for the gentleman dog because of the muscular power possessed by this breed. Large Sounding Names: More biggish ideas...is biggish a word?